The bow and arrow are among the most ancient of human inventions: a tool for hunting prey; a weapon for slaying foes. Mastery of its use has always required long hours of painstaking practice until the archer becomes one with his bow and arrow. As a sport, archery is not unlike golf in that it is less about opponents and more about the self. The laws of Physics rule the sport: force, velocity, inertia and direction. To conquer these, technique and skill are of the utmost importance. Technique and skill, however, are attributes of the body; and to attain these to the level where the archer becomes one with the bow and arrow requires freeing the mind of its thoughts and fears so that, ultimately, there is nothing in else in the moment but the target. 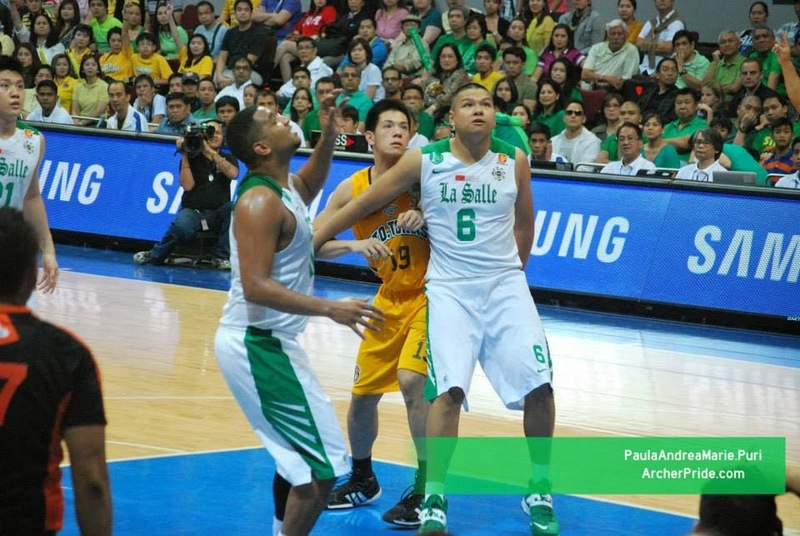 Flash back to the UAAP Season 76 opening men’s basketball game for the DLSU Green Archers, ironically a fumbling and error-strewn overtime loss to the UST Growling Tigers, the very same team that they defeated in an intensely emotional and decisive Game 3 of the season’s championship series last Saturday. 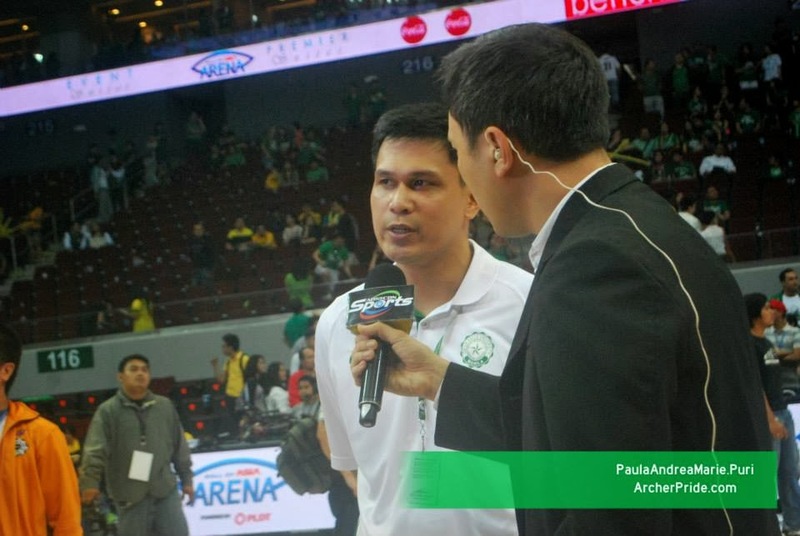 Comedy, this was how Green Archers head coach Juno Sauler, who took over the reins just 18 days before the opening game, would later describe how the Green Archers played. Mentally fragile that the Green Archers were at the start of the season, he took away the weight of expectations, redirected the focus and energies of the players and all the while probably without their knowing it turning them into a championship team. For followers of the team, the game was painful to watch. That it would be jittery and error-strewn was a given as many opening games rather tend to be that way. Neither was the loss a cause for alarm, as indeed there was the rest of the season to climb up the standings. What was alarming, however, was something only all too familiar to those who have been watching the Green Archers not only in the previous seasons but even in the televised pre-season tournaments that collegiate teams join in preparation for their respective major tournaments. It was the look on the faces of the players, particularly in their eyes, when pressure started to mount. It was the look that accompanied risky passes that were intercepted; poor shot selections; fumbles and unforced turnovers; and shots missed that were actually easier to score than to miss. It was the look of fear. That there was talent in the team was not even a cause for argument for those who followed the team, as indeed this was obvious for all and sundry to see. But the team was mentally fragile; and it was often as though, in the games that mattered, the team was afraid to – nay, did NOT want to – win at all. This was what supporters of the team saw again in that opening day loss to UST, something that did not augur well for the rest of the season. That Sauler had come in with mere days to go probably doused any flickering embers of optimism, a dangerous commodity as it already was for many followers forced to watch from the sidelines as the Auld Enemy – of all teams – soaked in all the glory for five barren and painful seasons. Fear is not a bad thing. It is a trait written into the DNA as a survival mechanism. It prepares the animal to flee or, if left with no option, to fight. Among athletes, if uncontrolled, fear can cause the heart to palpitate uncontrollably, legs and knees to feel like jelly, palms to go sweaty and the mind to lose its ability to properly synthesise information, thus leading into poor decisions in moments of stress. Fear in an athlete can be induced by anything: the reputation of an opponent; a large raucous crowd; the expectations of family, friends, supporters, teammates and the coach; the importance of the occasion; perhaps even some silly superstition like forgetting to bring along a pair of lucky socks. Fear can cause an athlete to lose as much as 75% of what he is capable of doing; and needless to say, this contributes even more to his distress. Although things that induce fear are external to the athlete, fear itself resides nowhere else but inside the athlete’s mind. Some athletes are born with the natural ability to control fear. This ability is called mental toughness. In others, it can be developed, especially with experience and coaching. From the comedy of errors that was the opening day loss to UST, the Green Archers picked themselves up to earn hard-earned back-to-back victories against UP and Ateneo. The way with which the Archers fought off a spirited rally by the Auld Enemy in the fourth quarter was particularly encouraging. Any game between the Archers and the Blue Eagles is always a pressure-laden mini-tournament in itself; but the Blue Eagles were also the five-time defending champions. The way the Archers won, the absence of Kiefer Ravena notwithstanding, was fodder for optimism; and never mind that the Eagles were in the undignified and unfamiliar position then of having to prop up the rest of the league. But whatever optimism might have been fuelled by the two victories was quickly doused by successive losses to FEU and UE in the Green Archers’ next two matches. What was strange and immeasurably frustrating about these two matches was that these were when the Green Archers showed that they were championship-calibre with swaggering performances, the one against the Tamaraws in particular. The way with which the team practically threw away both matches in the endgame was bizarre; albeit reminiscent of previous seasons when the team always seemed on the verge of getting there before frustratingly imploding when the going got tougher. That the ability was there was not in doubt; but the mental fragility of the players and the inability to close out ‘won’ matches had also come back to haunt the team. Sauler needed a magic potion. There is no single formula to prepare teams to handle the pressure that invariably accompanies playing competitively. A team is a collective unit made up of diverse individual personalities; and it is always up to the coach to recognise his team’s collective personality. Some teams are made up of naturally cocky individuals; in which case fear is not the concern. Overconfidence is; and this can be just as dangerous as too much fear. Because a cocky team is blasé about matches, the job for the coach is to play each match up; i.e. to give each match probably more importance than it actually carries. On the flipside of the coin is a team made of individuals fraught with nerves. In this case, the job of the coach is to play each match down; i.e. make each match seem less important than it really is. Attaining the right balance whether playing up or down is always the coaching dilemma. Play a match too much up and even a cocky team can become nervous. Opposite to this, play a match too much down and a nervous team can become overly blasé and disinterested. Perhaps against even the expectations of their own supporters, the Green Archers went on an unbeaten streak that took them first to second in the final standings but tied in points with the top-ranking team; and then to the final series courtesy of two dominant performances over the Tamaraws in the play-off for second and then the semi-finals. In that unbeaten run, the Archers played steady and workmanlike rather than spectacular basketball. Those who followed the team through the entire season would have recognised some subtle changes, particularly as the winning streak started to gather steam. First, the team started to play more deliberately rather than frantically, which resulted into fewer errors. Second, the team started to learn how to hold off rallies by the opponents in the last quarter, which enabled it to close out games. This was the surest sign of all that the players were freeing themselves of their fears and developing mental toughness. The team was still prone to going into barren spells within the course of a match; but, encouragingly, the team had seemingly also developed a knack for putting together scoring runs that cancelled out the barren spells. This was evident in the championship series itself when the Green Archers fell behind in the first game by 4-21 but fought back to eventually lose by a solitary point to the Growling Tigers. UST might have won the match; but it was arguably in Game One that they ultimately lost the war. Although the Tigers sneaked into the finals via the backdoor, what was frequently overlooked was that they were in the finals for the second straight year and had already soaked in the terrifying atmosphere. Yet, playing against an understandably nervous team whose players were in the finals for the first time in their lives, the Tigers could not blow the Archers away to put the fear of God in them. And although the Archers came away from the game smarting from a one-point loss, there was also the comforting knowledge that they could come back against UST, not only within a match but, ultimately, to win the championship series. 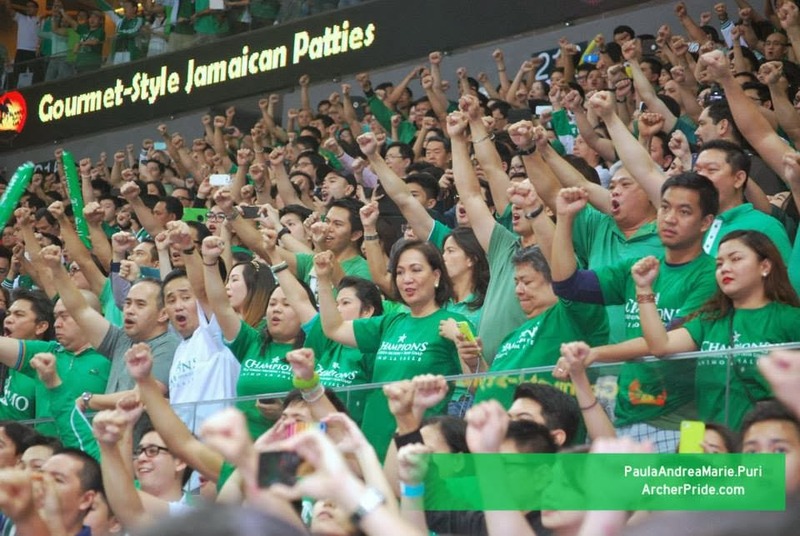 So, down by 15 in the third quarter of the deciding third match last Saturday, it was not so much that the supporters of La Salle knew that their team could still come back. It was always that UST knew this, too. Unsmiling, seldom on his feet, always pensive when the television cameras panned out to him and the rest of the Green Archers bench: that was Juno Sauler during the campaign, the perfect coach for an imperfect team. One television commentator, as a matter of fact, felt aggravated by a curt one-sentence interview that he gave at the end of one match. But what is a team if not the mirror image of its coach, for the players merely act out the choreography that emanates from inside his mind? Mentally fragile as the players he inherited already were, would they have benefited from an excitable and tempestuous coach? No, the coach who wears his emotions on his sleeves only communicates his anxiety to the players on the court. Arguably, this may work for some teams. But for the Green Archers, Sauler’s quiet way was always THE way. What his players needed was calmness and serenity; and these were what Sauler gave them. The nervous wrecks who lost in overtime in the first game against UST had, by the time the finals came around, become assassins who knew how to go for the guttural. In the post-championship interview, Sauler talked about imparting upon his players not the importance of winning but, rather, the importance of improving on a daily basis. That, in a nutshell, was the magic potion that Sauler kept hidden from everyone. By not talking about winning, Sauler got into the heads of his Green Archers and turned them into winning ways without overtly trying doing so. It was playing down not just a match but the entire season but done with the skill of a master craftsman. 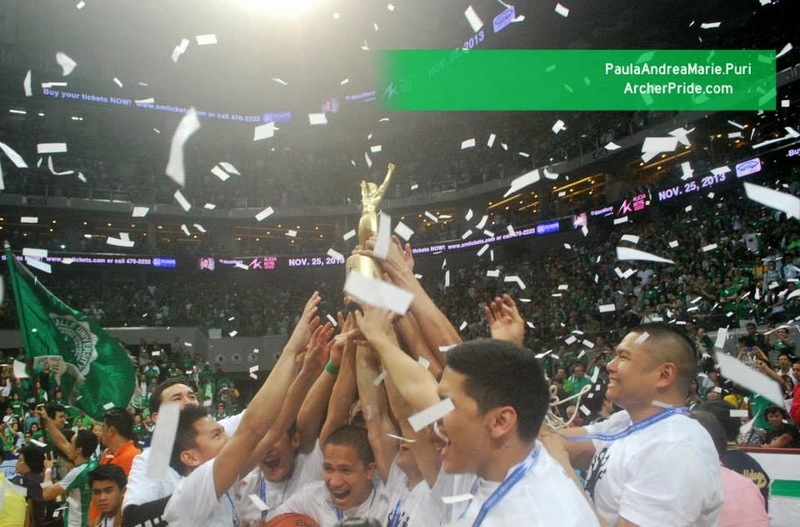 Because of Sauler, the Green Archers after a shaky opening and to the detriment of all their foes subsequently became one with their bow and arrow, thus giving all on the Green Side something to believe in again. Acknowledgment: Thanks to Paula Andrea Marie Puri and http://archerpride.com for the photos.